iOS 12 Available on Market: Update or Not? Part 2: How to Update to iOS 12? Part 3: How to Save Enough iPhone Space for iOS 12 Update? Compared with iOS 11.4, with the size of 75.7MB installing package and occupying around 2GB in system after installation, iOS 12 contains bug fixes and improvements. Many iPhone users will not get the notice for iOS 12 update while developers are able to get the Beta version. According to some of those developers who have updated their iPhone to iOS 12, the operation of iPhone becomes slow, and heating problem would occur during playing game. According to authority, if you are using beta version of iOS 12, you are advised to update to iOS 12 as it fixed many bugs and had many improvements compared with previous beta versions. However, if you are not using beta version of iOS 12, you are not suggested to update as some issues have been detected. Some of them are listed above. You might need to wait patiently for the coming out of the official version of iOS 12. It won't be possible for you to get iOS 12 as Apple Inc. doesn't make it available in a normal way. You need to enter developer mode by installing configuration profile. Only after configuration profile are installed can your iPhone detect installing package of iOS 12. Registered developers can download the new iOS 12 from Apple's Developer Center or over-the-air once the proper configuration profile has been installed from the Developer Center. If you are one of those who don't have access to Apple's Developer Center, you might need to wait patiently for the official version of iOS 12 to come out. Luckily, it won't take you to long. According to multiple sources, in spring conference in 2018, Apple will roll out iOS 11.3 official version with many key features added. 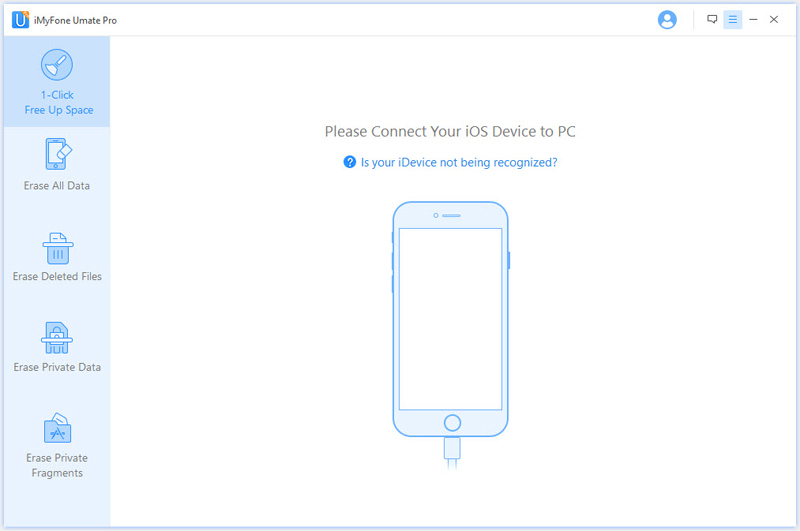 As is mentioned in the very beginning, it takes approximately 2GB iPhone space to install iOS 12. It is presumed that it might take more to install the official version of iOS 12. If you are using a 32GB iPhone, you might find your iPhone lack of enough space for you to update your iPhone to iOS 12. In this case, you need to clean up your iPhone to get enough space. 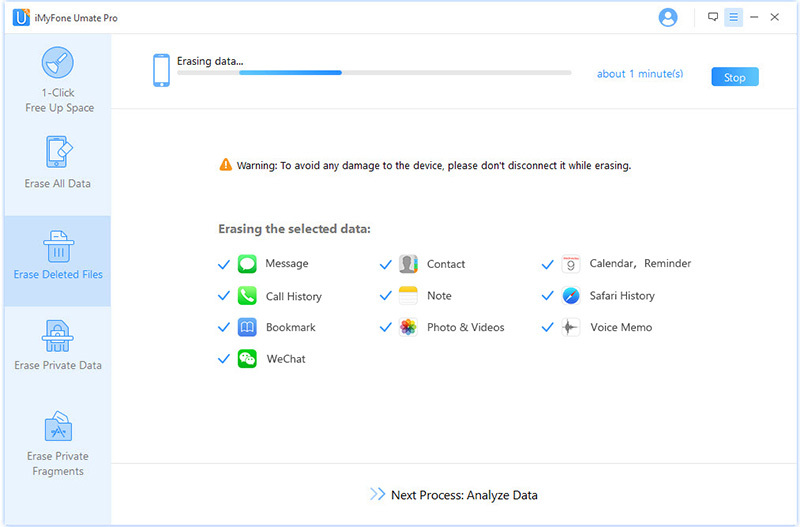 A factory resetting is not wise, which will make all your iPhone data lost together with iPhone settings. Does it ever occur to you that deleted iPhone files are still kept in your iPhone until files of same kinds replace them? Erasing deleted files on your iPhone is an ideal way to get you enough iPhone space. 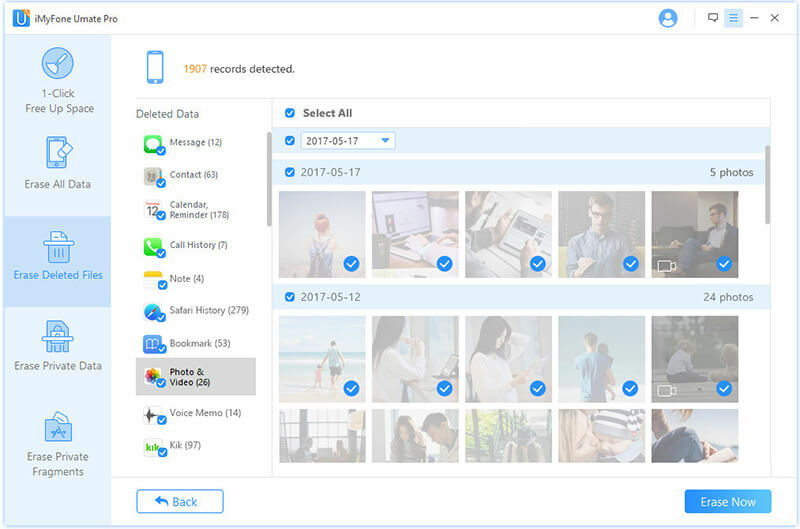 Allows you to erase junk files and temporary files for free. Allows you to erase large files in an unrecoverable way. Allows you to preview and selectively erase private data to the fullest. 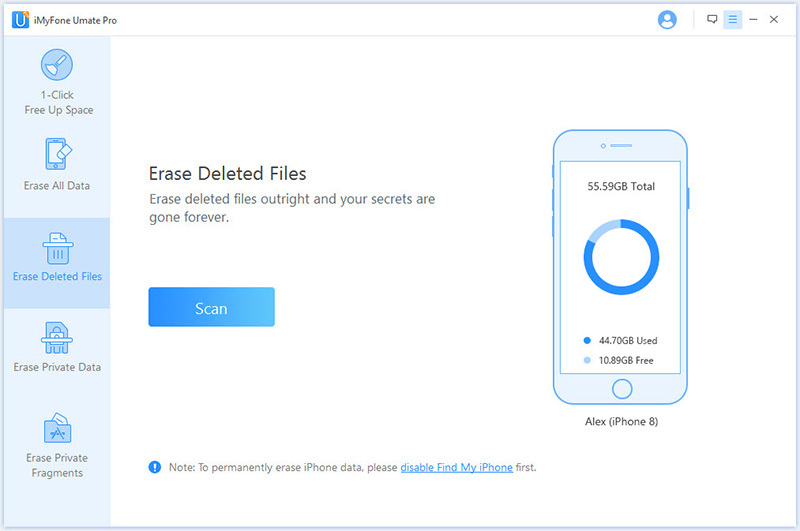 Allows you to detect and completely erase deleted iPhone files. Step 1Launch iMyFone Umate Pro, and connect your iPhone to computer with a USB cable. Step 2Choose "Erase Deleted Files" from the left side bar, and click "Scan" to start to detect deleted files. Step 3After scanning process completes, you will see a list with all deleted files presented. You can simply choose all of them for completely erasing. Or you can choose what you want to erase. Click "Erase Now" to start the erasing process. Step 4Type "delete" into the blank box, and click "Erase Now" to officially erase deleted files. After a while, all selected files will be erased completely, and then you will have enough iPhone space to update your iPhone to iOS 12.